Sunset Country Ford is committed to excellence in serving all customers including people with disabilities. We will ensure that our staff are trained and familiar with various assistive devices that we have on site or that we provide for the use of customers with disabilities while they are accessing our goods or services. We will communicate with people who have disabilities in ways that take into account their disability. We welcome people with disabilities and their service animals. Service animals are allowed on our premises in areas that are open to the public. A person with a disability will be allowed to have a support person accompany them on our premises. Fees will not be charged for support persons. Sunset Country Ford’s policy related to the customer service standard. 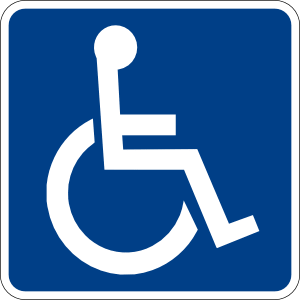 How to use any assistive devices or equipment available on-site or otherwise that may help with providing goods or services to people with disabilities. People who have disabilities are encouraged to apply for positions available with our firm. Accommodations are available upon request to those who are participating in the hiring process. Customers who wish to provide feedback on the way Sunset Country Ford provides goods and services to people with disabilities can email us at terry@sunsetcountryford.com, or contact us by phone and speak with our General Manager. All feedback, including complaints, will be reviewed and the Customer will be contacted within 14 days. If you would like to access this policy in an alternate format, please contact us with your request.